Looking for an action-packed holiday that won’t break the bank? I reckon you’ll have the holiday of a lifetime in Catalonia. Catalonia, is in my opinion, the hidden gem of Europe. It is a long time since I have travelled to a destination that has really ticked all of the boxes for me. I love the beach, but also the mountains. I like staying in comfortable places, but don’t want it to cost a bomb. And finally, I am a big fan of good food and fine wine. Little did I know that a place like this existed so close to home, it was a revelation. The region stretches from the historical city of Tarragona on the Costa Duarada, all the way up the Costa Brava to the border with France and across to the French/ Andorran border in the Pyrenees. Over the course of one single holiday you can soak up the culture of Barcelona, the gastronomic delights of Girona (it is home to El Cellar de Can Roca, the best restaurant in the world 2015), bathe in the azure waters of the Mediterranean and take on world-class biking and hiking in the Pyrenees – all without having to spend long periods behind the wheel. It sounds like bliss, and it is. I’ve rounded up my Catalonia highlights (which coincidentally form what I think is a pretty awesome itinerary for a 10-day to 2-week holiday) to give you a helping hand when it comes to planning your own adventure. 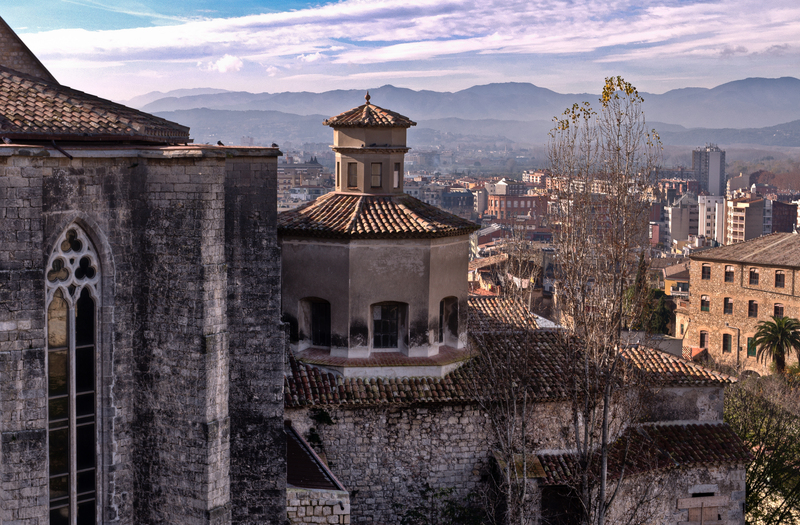 Girona, in my opinion, is the perfect city for those looking for incredible food, vibrant culture and good shopping in a far more low-key environment than Barcelona. For a city of its relatively small size, it is a big hitter on the food scene. One of the city’s restaurants El Cellar de Can Roca was awarded the uber prestigious title as the best restaurant in the world in 2015. What to expect: Incredible food, beautiful architecture and a chilled vibe. Don’t miss: If you can secure a booking in El Cellar de Can Roca then I reckon it is well worth a visit. However, if you are not lucky enough to get a booking, I don’t think you’ll be too disappointed with the food at the owner’s parent’s place, Can Roca. You can also treat yourself to an artisan ice-cream at Rocambolesc which as you can imagine is not your average ice cream parlour. Essential information: Montjuic Bed & Breakfast located a short walk from the centre of the city is an exceptional guest house offering unrivalled views across the city below. The rooms are really well equipped and there is a swimming pool if you want to spend an afternoon chilling out away from the hustle and bustle of the city. Rooms start at about €100 per night which includes a very good breakfast. Most people shudder at the mere mention of ‘Costa’ anything as it immediately evokes visions of high rise apartment blocks and full English breakfasts. However, you are a far cry from any of that along the Costa Brava. 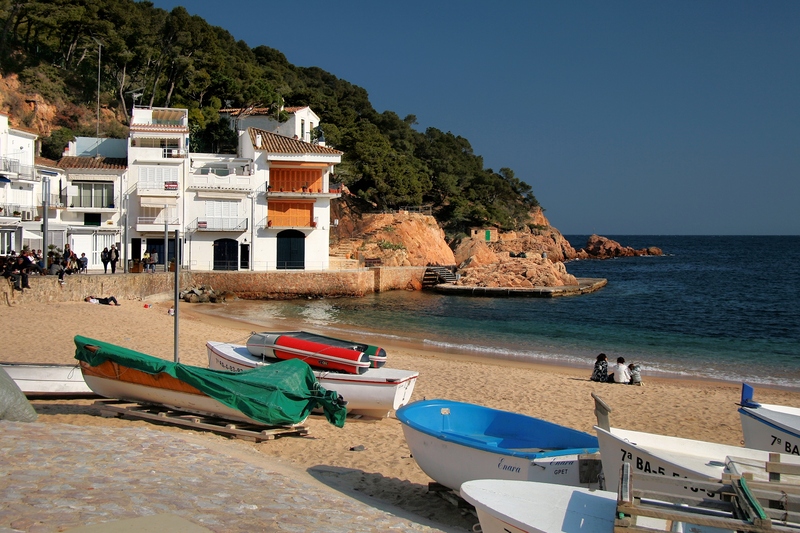 Instead, you will be treated to crystal clear waters in tiny coves and quaint fishing villages. It is as if the Spanish have kept this place a secret on purpose so they have somewhere really special to escape to that is no over-run by beer guzzling tourists. What to expect: Peace and quiet. An abundance of great swimming spots. Small hotels and guesthouses. Don’t miss: Tamariu is definitely my favourite village along this coast. It is really tiny with only a couple of restaurants, but it is so relaxing. Cadaques and Collioure (which is across the border in France) and also well worth a visit. A road trip along the coast is a great way to spend a couple of days. Essential information: Hostelillo Hotel in Tamariu is ideally located right by the water. A double room with a terrace and sea view costs €100 per night (although we picked up a cheaper rate than this on Booking.com). Hotel Boutique Horta d’en Rahola in Cadaques is a short walk from the pretty seafront but offers really nice rooms in a very peaceful setting. Rooms start at about €100 per night. Relais du Silence Casa Païral in Collioure offers slightly unusual rooms in a beautiful setting right in the centre of Collioure, rooms start at €100 per night. 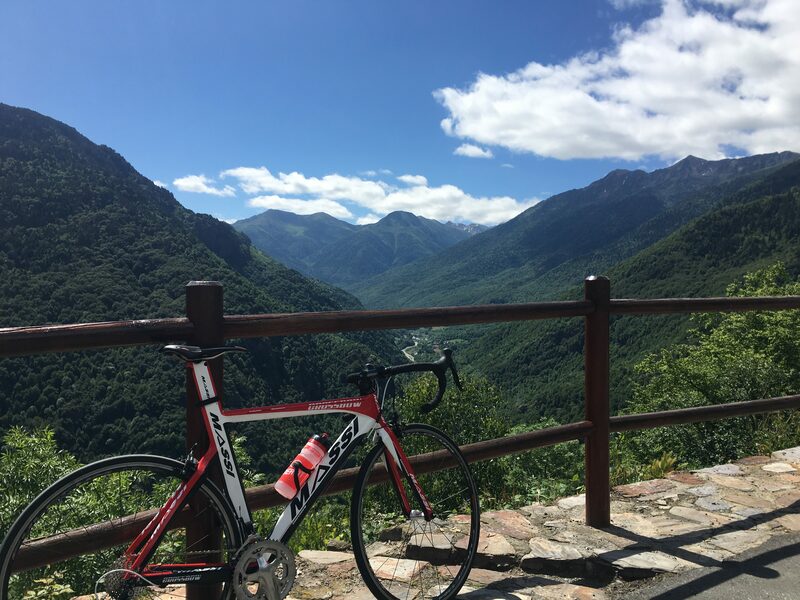 Nestled right in the heart of the Pyrenees, the Val d’Aran region of Catalonia is arguably my favourite. It is so peaceful, offers spectacular scenery, scrumptious food and there are more adventure activities on offer than you can shake a stick at. The Atlantic Valley is home to an abundance of 3,000m peaks, lakes, waterfalls, rivers, smooth roads and mountain tracks making it an absolute mecca for outdoor enthusiasts. Whether you are after world-class road biking, mountain biking, hiking, rafting, paragliding, wild-swimming…. You name it, this region can probably offer it. What to expect: Picturesque villages which are virtually empty in summer. Impressive peaks, smooth roads and well-marked trails. There is also an abundance of mountain huts in the region and across the border in France making it an ideal destination for multi-day hikes and mountain biking trips. One of the most popular multi-day hiking routes in the area is the Pas Aran, which is a 5-night looped walk from Refugi Amics de Montgarri (located a short walk from Spain’s largest ski resort Baqueira Beret), covering a total distance of 68km. The walk to Montgarri is stunning. 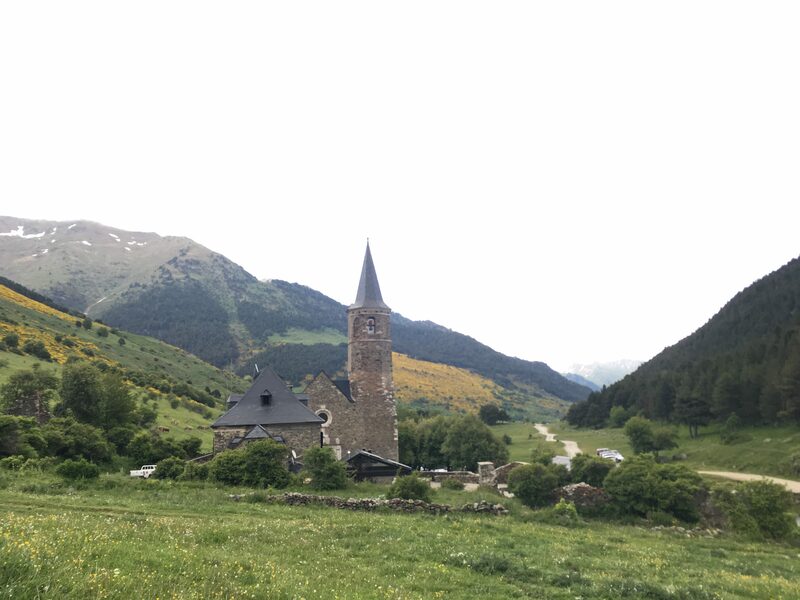 Don’t miss: The Sanctuary of Montgarri (the starting point of the Pas Aran) is well worth a visit for the incredible food on offer – homemade pate, local cheeses and tender steak cooked on the small restaurant’s fireplace will leave you wanting to come back for more. In winter the restaurant can only be accessed on skis or skidoo, while in summer you can opt to brave the rocky road by car or alternatively take the path from Beret which is a really stunning walk through pretty countryside. Essential information: In summer you can expect to stay in good quality accommodation at very reasonable rates. I opted to stay in the small village of Garos which is a tiny village with little more than a few houses and a hotel. Hotel Vilagros (rooms start at €60 per night) is a really friendly hotel and offers up some of the best food I have ever had the pleasure of tasting. Gazpacho, grilled octopus, plates of succulent Iberico ham, juicy tomatoes, fresh breads and local olive oils filled our table – and those were only the starters. This region puts a huge emphasis on the importance of eating produce from the Catalan region so you will find that everything down to the scrumptious homemade yoghurts and jam served up for dessert are made from locally sourced ingredients. With regard to accessing the abundance of outdoor activities on offer, I can highly recommend Kabi Travels. Run by none other than Edurne Pasaban (aka the first woman in the world to summit all 14 of the world’s highest peaks), the agency offers everything from road biking to hiking and will definitely ensure you see the very best of what’s on offer while you are there. 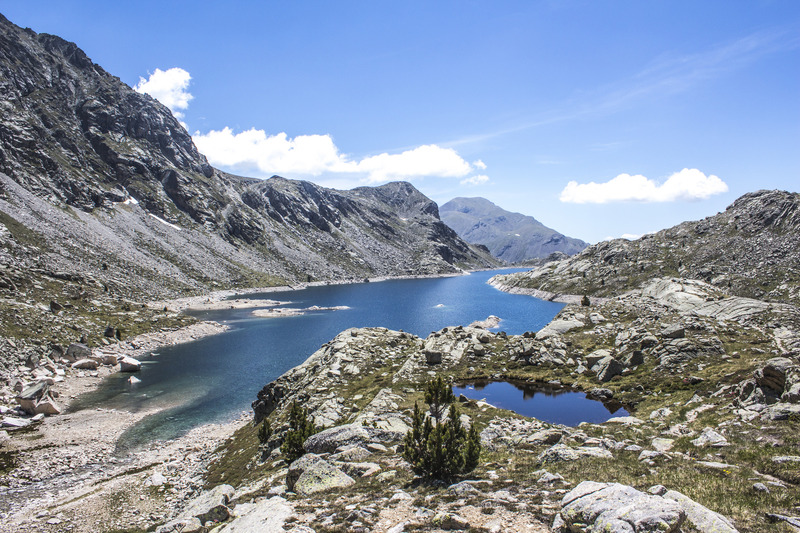 A short journey of south Garos lies the Aigüestortes National Park. 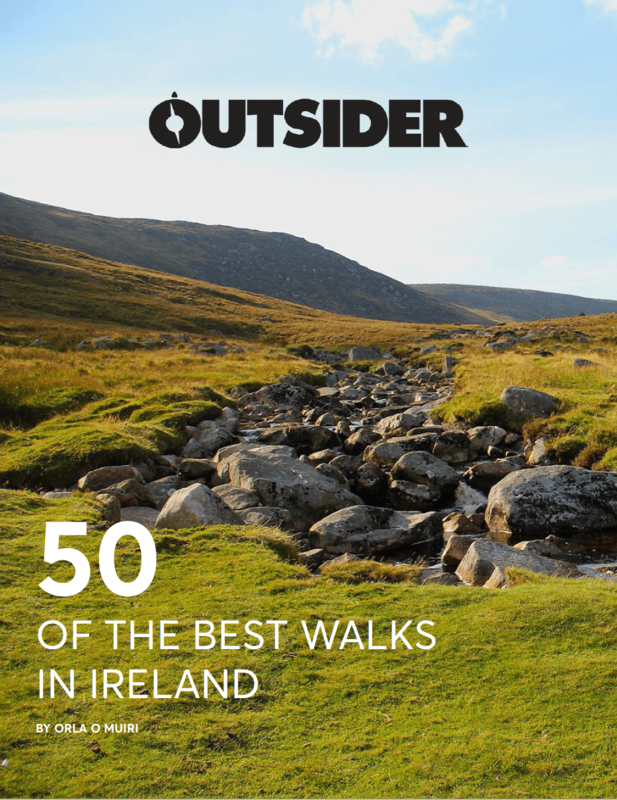 Home to looming peaks, almost 200 lakes and a diverse range of flora and fauna and offers a network of trails for all levels of hikers in a spectacular setting. What to expect: The park is definitely popular with tourists but as soon as you head away from the most accessible trails you can expect a tranquil setting in which you can experience some of the best hiking that the country has to offer. Don’t miss: A very popular route amongst multi-day walking enthusiasts is the Chariots of Fire, a 62km route with 4,500m of elevation gain, taking in all nine of the park’s shelters. Restaurant Juquim in the village of Espot is the perfect place to refuel after a long day in the hills. Essential information: You cannot drive your car in the park, but you can hitch a ride with one of the park’s official vehicles. We chose to enter the park at Espot which is a quaint village with some really nice bars and restaurants. A lot of emphases has been put on protecting the park so there is a fair share of rules and regulations that come with that – for example, swimming in the lakes is prohibited. Full information about the park is available on the National Parks website. The tiny village of Sort is the perfect place to rest your head for a night on route to the Mont Rebei Gorge from the national park. Not only does it offer white-water rafting, it is also home to cheese tasting experience that you don’t want to miss. What to expect: A quaint town, a fast flowing river and the best cheese you have ever tasted. 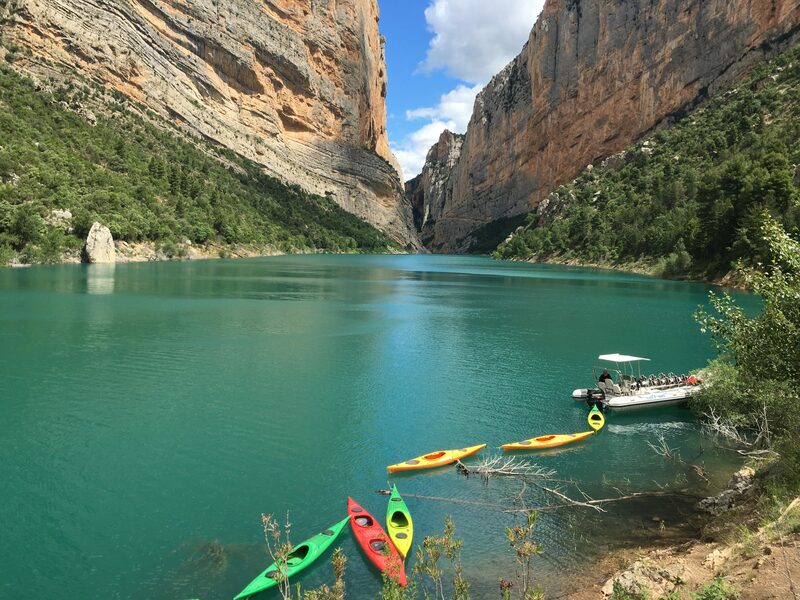 Don’t miss: White water rafting down the Noguera Pallaresa River is guaranteed to make you laugh and scream for an hour and a half – it is about the best fun one can have. The cheese tasting experience at Tros de Sort is also well worth a place on your to-do list. The owner of the cheese factory will talk you through 12 different types of cheeses which you can wash down with some delicious local wines. Be sure to book the cheese tasting in advance. Essential information: Hotel Florido might not be the most glamorous establishment but it is definitely the handiest and it is clean and comfortable. Rafting trips run from the hotel and it is directly across the road from Tros de Sort. Rooms at Hotel Florido start at €75 per night. River rafting trips start at €45. I don’t even know where to begin when it comes to describing the Mont Rebei Gorge – the sheer beauty of this place is guaranteed to blow your mind. The vibrant green water lapping against the tall terracotta-coloured walls of the gorge took my breath away. What to expect: Small paths and steps have been cut into the wall of the gorge giving way to one of the most unique hikes I have been on, although it may not lend itself too well to those with a touch of vertigo. Kayaking in the gorge is also a must – don’t forget your picnic basket and your swimsuits though as this is one place you will not want to leave in a hurry. Don’t miss: If you are looking for a slap up lunch or dinner, then I would highly recommend Casa Xalets in the nearby town of Ager. Form the outside, the establishment could be mistaken for a small tavern, while inside they have transformed the restaurant with floor to ceiling windows, offering panoramic views of the surrounding mountains. And the food didn’t disappoint either, once again we were treated to a feast of local food and wine. Essential information: We stayed in Hotel Port d’Ager, a basic, yet very comfortable hotel with incredible views and mouth-watering homemade croissants for breakfast. Rooms start at €75 per night. 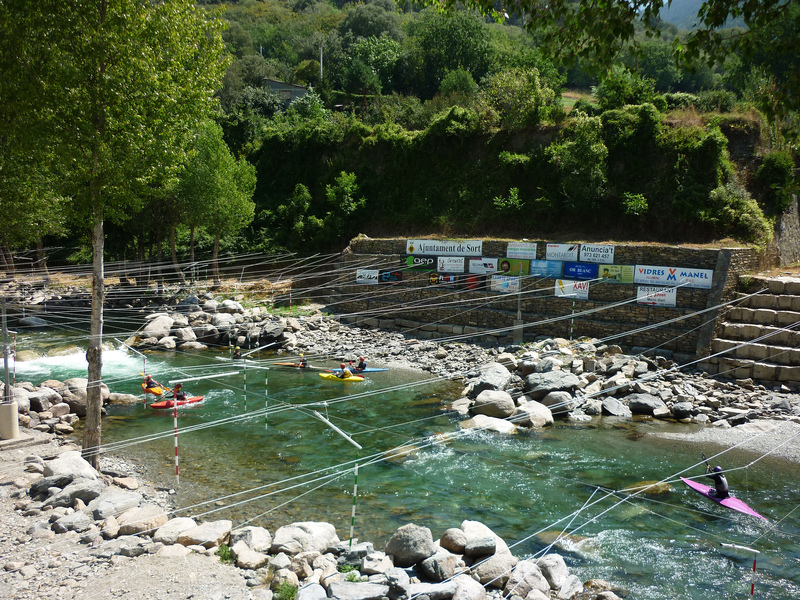 Activities within the gorge can be organised with Montsec Activa which offers both kayak rental and speedboat trips in the Mont Rebei gorge. Medoc Marathon: Could you run a Marathon while Drinking Wine?